A true masterpiece! 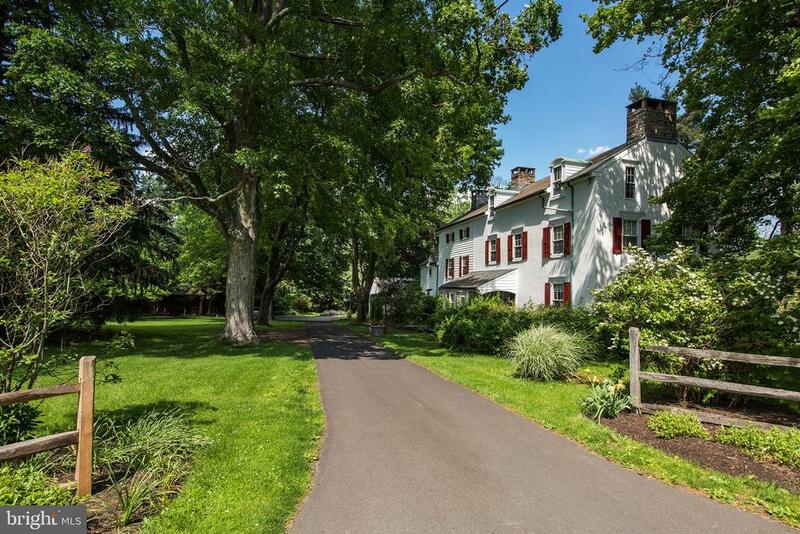 One of #buckscounty's finest barn conversions ever seen! Its architectural beauty combined with the highest level of interior amenities and state of the art construction, has created a perfect barn structure. Located in prestigious #uppermakefield in award winning #councilrock school district, this "green" home features a state of the art geothermal heating and cooling system, trees from the property's building envelope were milled on-site into impressive wide-planked flooring that were naturally dried and used throughout the home. Upon entering, you are wowed by the soaring ceilings and impressive staircase along with the soaring ceilings, exposed beams and stunning stone fireplace. The kitchen is a chef's dream with all commercial grade top-of-the-line appliances, custom wood cabinetry, and magnificent soapstone countertops. The extra wide sink is also made of the natural soap stone. The first floor master suite is a true retreat with two story ceilings, walk-in closet, and an sumptious full bath with two story shower featuring stone walls, double sink, water closet and an incredible copper soaking tub!! The upstairs which overlooks the great room, features three other bedrooms and hall bath (two of which have their own private baths!) and another room which can easily become a 5th bedroom. The main living area also has a wall of glass doors that seamlessly fold into the wall creating an exquisite space for entertaining. Truly brining the outside in! Natural, "green" and energy efficient products & systems were carefully chosen to finish this flawless construction which was completed by the award winning bucks county construction company, wothington-shagen! This true estate property also features a log cabin/guest house with fireplace, exposed stone and natural timbers with a lovely bath. A true, must see! Two residences !!! Charming 1840 carriage house & separate stone guest house on cuttalossa creek & nestled in the coveted cuttalossa valley. One of the most beautiful valleys in the country. Tastefully renovated carriage house in a private/exclusive setting with beautiful interior (exposed stone walls,hand-hewn beams,chestnut floors,stone fireplace,original stable doors/woodwork/cabinets) open floor plan with great room/dining area/kitchen on first level. Kitchen with brick floor overlooking a brick terraced outdoor fountain. 2 lovely br's & two updated full bathrooms on 2nd floor. Lots of closet/storage space/large walk-in cedar dressing room. Also. A wonderful free standing guest house with home office/studio space on upper level (high ceilings/expansive windows/red oak floors/fireplace/full bath/kitchenette) & 2 car garage on lower level. Property borders cuttalossa creek & preserved estate of new hope impressionist artist daniel garber. Short walk to the delaware river/towpath. Minutes from restaurants/galleries/shops in the historic towns of new hope in pa & lambertville in nj.